Philip C. Garner, 92, of Greensburg, died Thursday, Nov. 22, 2018, at home. He was born April 5, 1926, in Greensburg, a son of the late Raymond and Lena Lentini Garner. Philip was a member of St. Bruno Church. Prior to working for the Westmoreland Housing Authority, he worked alongside his brothers in the family barbershop started by his father in South Greensburg on Broad Street. He also was a veteran of the Navy, having served during World War II, and worked for a time at Walworth Valve Co. In addition to his parents, he was preceded in death by three brothers, James, Angelo "Raymond" and Joseph Garner; and three sisters, Margaret Long, Lucy Thomas and Gloria Piccolo. He is survived by his loving and devoted wife of 59 years, Carmella R. DiOrio Garner; four children, Philip Garner, of Moscow, Idaho, and Phylis DeFloria (Jerry), Gregory Garner (Laura) and Elizabeth Leonard, all of Greensburg; eight grandchildren, Alex Garner, Naomi Hashimoto (Daniel), Nick Garner, Maris Leonard, Bruce Leonard Jr., Jamaar Pritchett, Mateo Garner and Vienna Garner; sister, Linda Dobies (Stanley), of South Greensburg; sisters-in-law, Marie Garner and Ada "Chic" Capozoli, both of Greensburg; brothers-in-law, Vince Piccolo and Edward DiOrio, both of Greensburg; and numerous nieces and nephews. Relatives and friends are invited to celebrate the life of Philip from 3 to 7 p.m. Monday in the CLEMENT L. PANTALONE FUNERAL HOME INC., 409 W. Pittsburgh St., Greensburg, PA 15601, 724-837-0020. Parting prayers will be held at 9:15 a.m. Tuesday in the funeral home, followed at 10 a.m. by a funeral Mass to be celebrated in St. Bruno Church. Interment will follow in Greensburg Catholic Cemetery. The family would like to thank Heather Plows and Dorothy Guidas, two longtime caregivers who helped tremendously during Philip's extended illness, and the doctors, nurses and staff of Redstone@Home, especially Haley Kish, for their loving and kind care. Memorial donations may be made to Redstone@Home, 6 Garden Center Drive, Greensburg, PA 15601, or Westmoreland County Veteran's Affairs, 2 N. Main St., Suite 205, Greensburg, PA 15601. 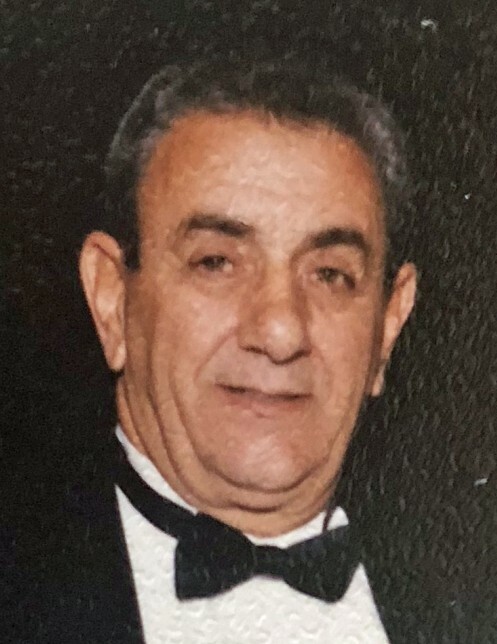 Philip's family has entrusted his care to the Pantalone Funeral Home Inc., Greensburg. To share your memories and photos, offer your condolences, or for directions, please visit us at www.pantalone.com, Natale N. Pantalone, supervisor.